A novel, which takes place in the hospital setting, a place which unlike most others, shows the core of the human being facing the reality of pain and suffering and the mystery that life and death are. “Anyone can accept the nothingness of their own lives, but never of the lives of those in which we saw a reflection of beauty, goodness, never for those we loved”. This entire book is pervaded by upon this cry and upon the need for an urgent response. It is really a cry rather than a question, since all the main characters, agnostics and atheists, do not know whom to ask: their pain is expressed with a cry, much like the cry of the tortured bodies and souls of the patients of the hospital. The answer is shown with both decision and discretion. The only possible answer is God. But how can a man feel this answer not as trivial and merely in ideological terms, but in a way that will change his life? In the light of this question, we meet the protagonist, Michel, with his doubts and contradictions. He cannot stop his existence from being to be dragged and determined by his compassion and his love for Eveline. “There are only two kinds of love: love of self and love for other living creatures. And behind the love of self hides suffering and evil. Behind the love for others, there is good, there is God. Whenever a man loves someone outside of himself, consciously or not, he performs an act of faith in God”. In a city of central Asia, the oncology ward of a hospital becomes a place where men and women of different backgrounds come together. With great narrative skills, the author tries to show us each person’s different position in front of suffering. And it is this suffering that brings to the surface and makes the protagonists aware of all the deepest needs that make up the very fabric of being and, at the same time, points to a reasonable way to face these needs. In a conversation with the protagonist Oleg, one of the patients says: "At times I clearly feel that there is something in me that is indestructible". The novel shows us that exactly in this relationship with that something indestructible, man can always rise again. Set in London of AD 2,540, the novel anticipates developments in reproductive technology and in medical science, leading to the establishment of a society where everything is programmed from conception till death. People can be psychologically stable and unemotional thanks to a medication called ‘soma’. However, a peculiar character emerges; Bernard is ‘human’, he wants things that he can’t have, he refuses to take ‘soma’ because he wants “to know what passion is”. Although Huxley projected his utopia six hundred years into the future, after World War II, he added a foreword to the book in which he admitted that the horror he described was actually approaching far sooner. A very disquieting book and painful to read, especially for medical professionals involved in organ transplant. However it is a book to read, because is a glimpse into a future that, perhaps, is not too far away. Buck writes out of her heart about her personal pain and struggle with her daughter Carol’s rare condition, nowadays preventable, but still unrecognized at that time. Buck, as many other parents when told that their child has a developmental disability, asks the wrenching question: why my child? However her maternal care for Carol shows two important attitudes, her gratuitous love for the daughter and her acceptance for who she is, as she writes: “…there is an unfathomable characteristic of sacredness in the life of each individual”. This book offers fragments of ideas and experiences from different scientists so to offer an insight into the real dynamics of research. Despite the diversity of these positions a surprising level of passion and tension toward the truth is revealed. Scientific knowledge is one of the ways in which the incurable human tendency to ask questions and to never be satiated with partial answers is manifested. There is therefore a link between scientific knowledge and religious sense. In fact scientific research shows to have its seed and its deep roots planted in the soil of the need for human satisfaction and meaning. Only wonder knows: the origin of scientific knowledge is in wonder and contemplation of reality, as we find it created before us and not with the affirmation of our own preconceived feelings or images. So to say that within the spirit of every scientist there is a curiosity that is like that of a child is not mere rhetoric, but it is to point out a distinguishing attitude required to understand reality: the ability to observe, and be in awe of what is in front of us. This attitude is not only involved in the beginning of research, only to quickly disappear and make way for reasoning and deduction: each step of research – from observation to experiment, from discovery to verification – is a new ‘beginning’ and is sustained by this interest in front of reality. As Max Planck said, "Who has reached the stage of not being able to be in owe in front of anything, simply shows to have lost the art of reasoning and thinking." Jerome Lejeune was one of the most highly regarded geneticists of modern times. He discovered numberous sicknesses of genetic origin, of which Down Syndrome (Trisomy 21) is the best known, and he was an ardent defender of life and of the dignity of "those who are mentally wounded", as he called them, to whom he dedicated his entire life, his energy and his talents. Jerome Lejeune was a "sign of contradiction for our time" according to the words of Pope John Paul II. His daughter Clara presents here the private man: the happy father of a family, surrounded by children and grandchildren, a great Christian marked by a discreet and radiant faith, a man of culture inspired with a great sense of humor, but above all a man of courage and of great relevance who would always battle to defend the smallest and the mentally handicapped. As a physician and a researcher, Jerome Lejeune would become involved in causes that would transform his life into a destiny. To medical researchers he was an esteemed colleague, who should have won a Nobel Prize. But to his own children he remained first and foremost a loving and beloved father. In this book Pierre Mertens recounts the story of his daughter Liesje, born with spina bifida and who lived until the age of 11 to the surprise of all her doctors, for whom it was not worth treating her given her severe handicap. The book is characterized by a constant question of meaning, which emerges in the author in front of the unforeseen and the inevitable events of his life. These very events are the unknown but present mystery that constantly escapes his control. The unexpected birth of a ‘different’ daughter together with the relationship with his wife allowed him first to accept and then to remain in front of his unease and pain until he arrives to the conviction that Liesje was the best thing in his life. Welcoming reality, rather than manipulating it and possessing it, is the only way to live daily life. Otherwise suffering would have no meaning; it would be useless besides being unbearable. Pierre is filled with acute and challenging questions: “I cannot accept Liesje’s suffering […] what is the purpose of her life, prisoner in a plastic box, with bound feet and hands? What is the meaning of her suffering? Medicine is disappointing.” The unity between Pierre and his wife keeps those questions alive. And other characters answer them: Sister Celestine, the young pediatrician who becomes friends with the Mertens, their friends, those who lived with meaning Liesje’s birth or those who tried to answer their questions. “Jesus did not erase the suffering of man, He came to suffer with us because he loves us and wants us to fulfill our vocation”. With these words, Vincent Nagle gets us immediately involved and takes us along with him in the hospital wards of a Massachusetts’ hospital, where he has been chaplain for years. Empty sentences, or pre-packaged recipes do not work when families are faced with the mystery of suffering. “When I enter the room of a sick person I want to face them with a broken heart, to share this adventure with those whose very being is shattered. I do not want to offer false comfort, but a real hope”. 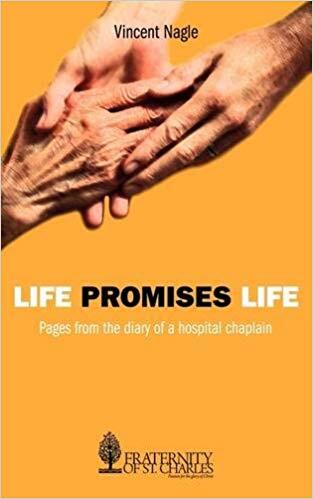 With short, intense clips of hospital life, almost like snapshots taken room by room, the author alternates the memories of his fascinating personal story and of his vocation. “When I decided in my heart that in order to be alive and human I needed to return to the Christian life, the condition was that He would not let me live separated from the harshness of life”. And God took him seriously, bringing it to life on the frontier of humanity, where human pain and the question of suffering are everyday business. Alexis Carrel, doctor and philosopher who converted to Christianity after being witness to a miracle, which took place in Lourdes, won the Nobel Prize for medicine in 1912. Carrel wanted to show that Christian experience is able to answer the needs of people of all times. His writings were collected by his wife Anne with stubborn determination, and published posthumously in this book. One of them is expressed in the phrase: “Little observation and much reasoning lead to error, much observation and little reasoning lead to the truth”. Openness to reality opens the doors to meaning; it opens human beings to the knowledge of fate. The method, the road to get to know the object is never dictated by the subject, but is imposed by the object itself. Any other attitude alters the relationship with reality, making adequate knowledge impossible. Moreover, Carrel says that “the inability to define something does not determine its non-existence" and that "Intelligence is almost useless for those who only have that”. It is difficult to find a surgeon like Enzo Piccinini. He never gave up. He knew how to take risks when others held back. When patients turned to him, he took each person to heart and never abandoned them, even when there was nothing more he could do surgically. However, if there was even the slightest possibility of a solution, he would doggedly pursuer it, striving to help each patient any way he could. Doctor Bernard Nathanson practiced for many years in New York City as obstetrician. In 1968 he co-founded the National Abortion Rights action League, the nation’s leading advocate for abortion calling it the right to ‘freedom and privacy’. 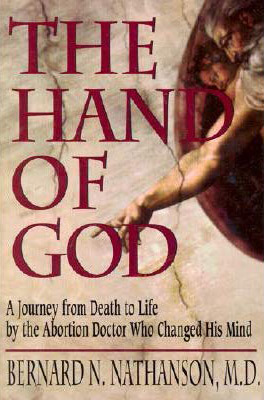 He directed the Center for Reproductive and Sexual Health of New York, the world’s largest abortion clinic and contributed to the refinement of abortion techniques and to the spreading of this knowledge in the medical field. In 1979 as he was performing and echo during a surgical intervention, he was shocked by the horrible reality that abortion is. From that moment on he stopped performing abortions and began to fight against this practice. Since then he spent his time and energy defending the right to life both by speaking at conferences throughout the world, and by publishing books on life issues. Dr. Nathanson was a non-practicing Jew but he converted to Catholicism and received the Baptism in 1996. This autobiography narrates his journey from Death to Life and it explains why, after having performed more than 75,000 abortions, he decided to defend life since conception. Amy Kuebelbeck was five and half months pregnant with her third child when she received the devastating news: her baby had a malformed heart, and the condition was fatal. Faced with an impossible choice, Amy and her husband, guided by faith and supported by friends and family, set out to make the most difficult decision of their lives: to give their baby a chance at life – and with it enormous pain and suffering – or to let their baby die naturally, most likely just a few weeks after birth. The unforgettable journey that ensued would change not only their lives, but also the lives of everyone who came in contact with them, from family and friends to healthcare workers and complete strangers. 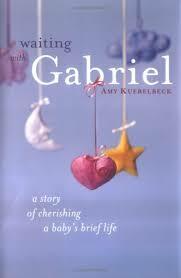 In this book we are invited to share her journey. 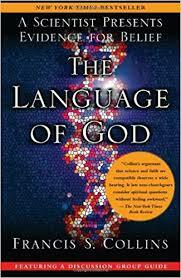 Dr Francis Collins, head of Human Genome Project, believes that faith in God and faith in science can coexists. In this book, he explains his own journey from atheism to faith and shows how physics, chemistry, and biology can all fit together with faith in God. 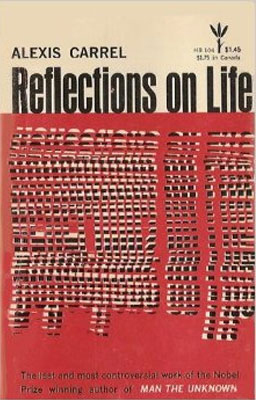 This book relates to the deepest questions of the person such as: why did the universe come into being? Or: what is the meaning of human existence?